Published by: ANTARA SOFTWARE and CONSULTING PRIVATE LIMITED ? Language: English (United States) and 10 other languages ? New! One time calendar based alarm feature added. 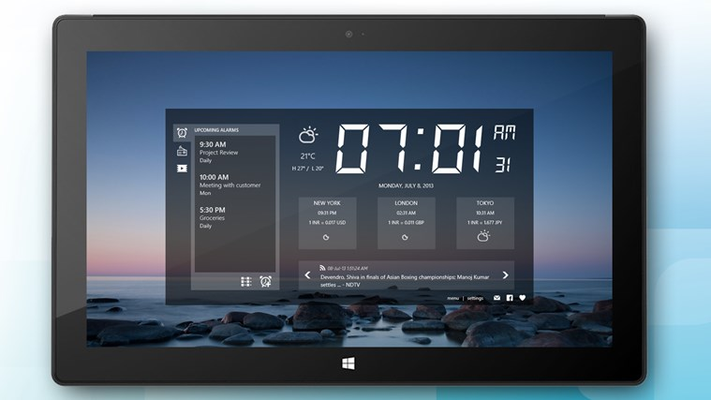 #1 FREE alarm clock app for Windows! Try it and you will love it. > 1000 ‘5 star’ ratings! 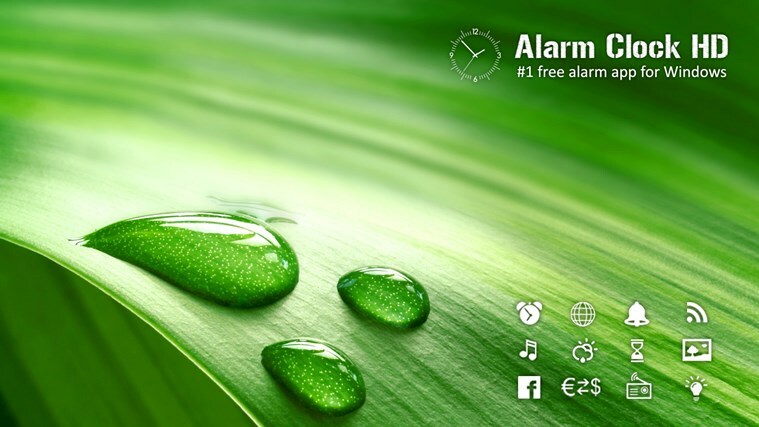 This is the ultimate FREE multimedia alarm clock app with roaming alarms, world clocks, weather, currency exchange rates, music player, radio player, Facebook and RSS feeds, picture themes and more – all this in one FREE app. 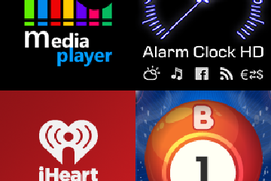 Alarms in this app are capable of waking up your device from sleep (if supported by your device). Roaming alarms | Toast Notifications | Wake-up from Sleep | Weather | World Clocks | Music Player | Radio Player | Facebook | RSS News | Alarm Sounds - Built-In, Custom or Radio | Sleep Music & Timer | Picture Themes – Built-In or Your Own | Live Tile Clock | Room Light Sensor | Functional Snapped View | Highly Customizable For feature requests and support, please email us at support@antaraonline.com. 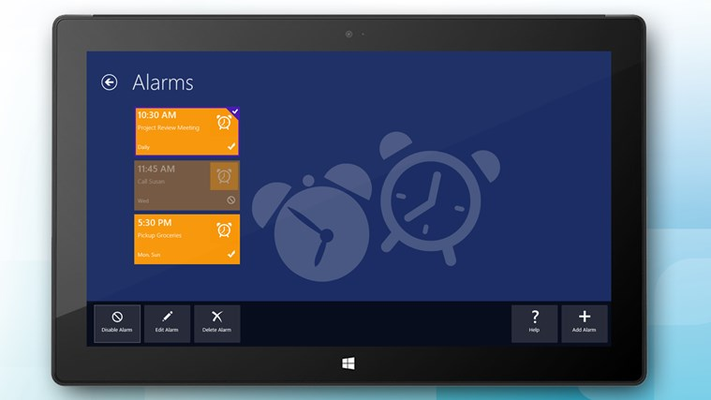 Thank you for using Alarm Clock HD and making it the #1 alarm app for Windows. 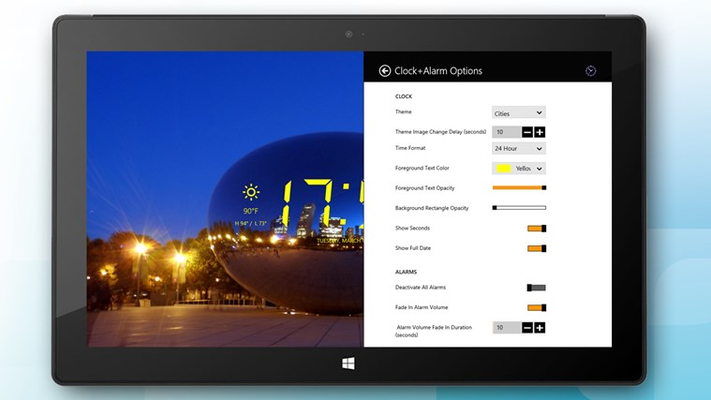 Roaming Alarms and Settings: Your alarms and app settings roam with your live id. Login with the same live id on any device and the app will automatically sync your alarms and settings. Toast Notifications: Get alarm alerts via toast notifications even when the app is not running. Weather: Get the latest weather and temperature for your current location and up to 15 cities in the world in either Celsius or Fahrenheit. 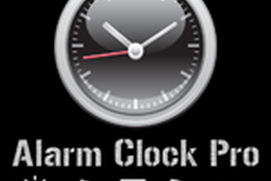 World Clocks: Get the time, weather and currency exchange rate for any 3 cities in the world. 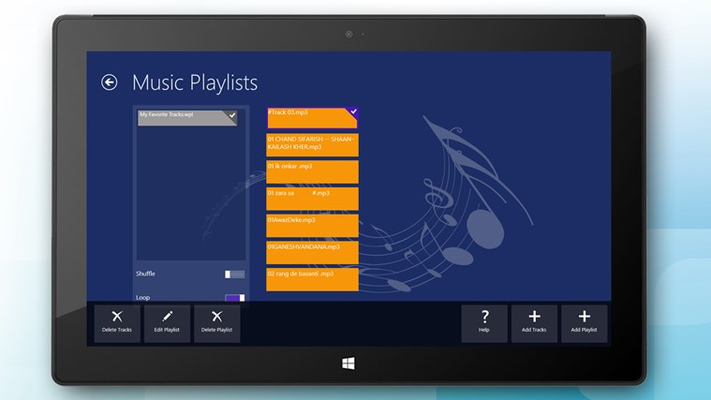 Music Player: Create unlimited music playlists with your favorite music tracks. Radio Player: Listen to over 70+ internet radio stations. Create unlimited radio playlists with built-in or custom radio stations (from pls/m3u/xspf files). Facebook: Read your Facebook wall posts within the app. RSS News: Read latest news - top news, world news, business, technology, sports, entertainment, science and health. Add your own custom RSS feeds. Alarm sounds: Use the built-in sounds OR add your own sounds for alarms. You can even set a radio station as the alarm sound! Light sensor: If enabled, alarms will stop ringing automatically when you switch on the room light.  Sleep Timer: Set a music playlist for the sleep timer from your music playlist collection. 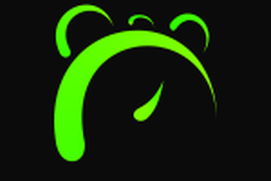 Sleep music plays for the sleep timer duration and gently fades away as you fall asleep. 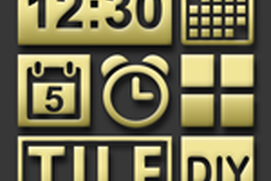 Clock Background Themes: Choose from the many stunning themes available in the app or create your own themes with your favorite photos. Clock Brightness: Adjust the brightness of the clock to get the right ambience. Flashlight: Use the app to turn the screen bright white and act as a flashlight. 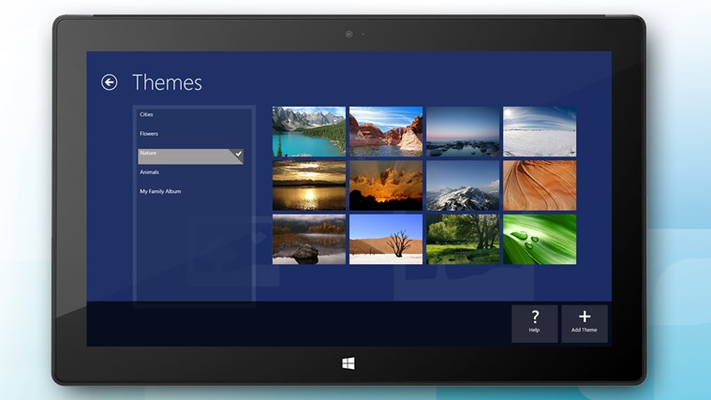 Live Tile: View the current date and time, updated every minute on the live tile. 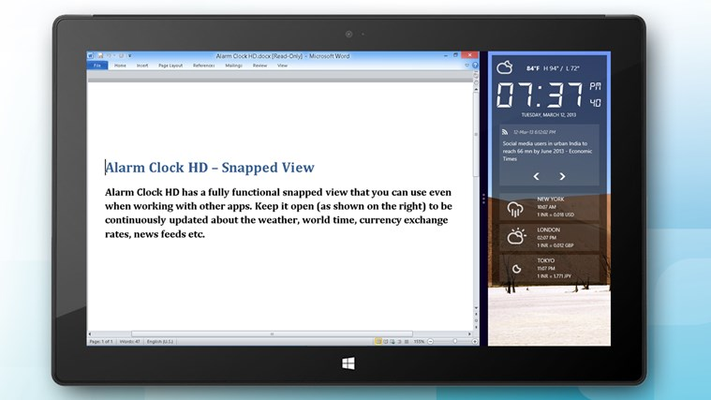 Snapped View: Clock, alarms, music, news and Facebook feeds, world clocks, and weather – all of them work in snapped view. 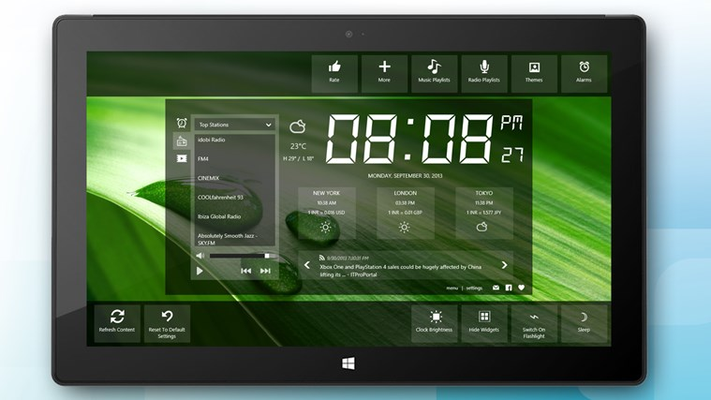 Highly Customizable: Every feature in the app is customizable via the settings charm. Seems to work as advertised. I decided to download this app when I realized the standard windows alarm app stopped working on my device, hopefully this app will not disappoint. love this app, easy to use and so many options! need more apps like this!